The Control of Substances Hazardous to Health Regulations 2002. For an impressive sixth year running, both Trafford Park and Selby recorded the maximum score. Enfield too, achieved 100% for the fourth year running. 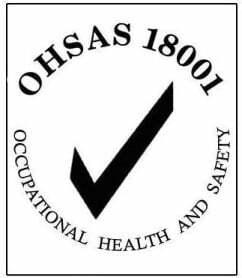 Trafford will also be undertaking the Occupational Health and Safety Advisory Services (OHSAS) 18001 accreditation already achieved by the Enfield site. This is designed to ensure high standards and consistency across all aspects of health and safety and is all about aiding legislative compliance and maintaining overall performance. It is the gold standard of Health & Safety management systems that would put Westmill firmly at the ‘top of the league’.